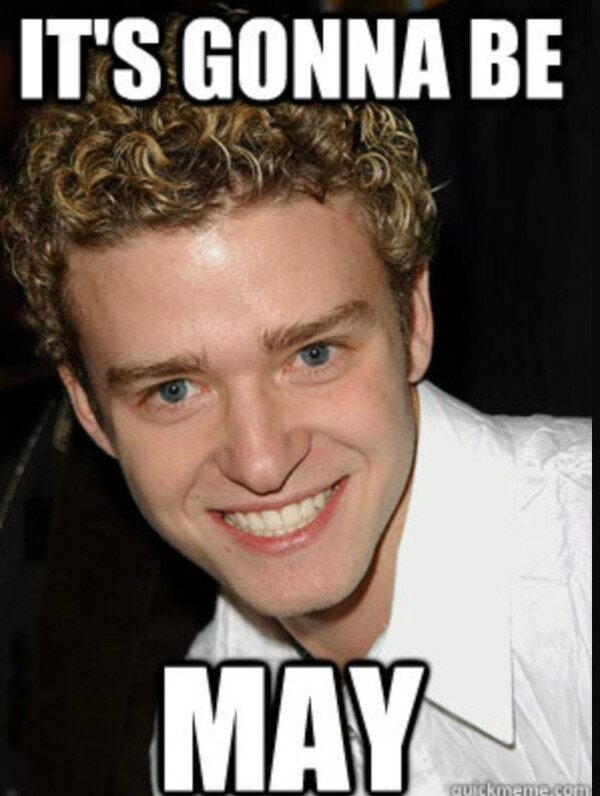 It's the end of April, and you know what that means! April Q&A will be released soon, but let's get started on those questions for May! If you submitted a question late in the April thread, you can re-ask it here. There's a big chance we probably missed... all the ones on the last page, haha. If you're looking for our previous Q&As, please check out the new compilation thread here! 1. Can you give more details about the Soul Reaper job class? 2. Is there a plan to develop and implement a better "day and night cycle" feature? 3. Is there a plan on making a "running sprite" for classes? It's kind of funny that you only see characters "walking" even though their movement speed is up [ and when Taekwon classes "Sprint" they look like they're only walking fast. Edited by IgnotusCarl, 29 April 2017 - 03:25 AM. 1. Would be possible to change a little how vulcan arm works? increase agi as a LITTLE damage modifier on this formula will be nice and will not overpower it ,If yes, could we add a buff to this skills to the mechanic new equip that will come with nightmare bio labs, the one who adds arm cannon dmg could increase vulcan arm dmg too, the same ammount per refine? 3. Could we enable Adrenaline Rush to be used on MADO? 4. Why kro kick and kick add 100% dmg at +10 and iro kick and kick add only 30% at +10? Edited by Ethanasael, 03 May 2017 - 07:59 AM. 4. it is 30% on kRO, the 100% was it's old effect, until they changed to 30. 1) Are there any plans to revamp/improve homunculus growth? Currently the homunculus does not keep up at all with the player, and loyalty is another problem altogether. Not being able to fight alongside your own pet is pretty counter-intuitive, and if one wishes to obtain their loyalty skill (Bloodlust, Mental Charge, etc), it shouldn't take 2 weeks or so, especially if on VIP time. It just feels like a waste of money getting VIP then hitting the wall that is homunculus growth. The system is antiquated and was obviously designed for the 99 era, but we're way past that now. 2) Is it possible to fix the Homunculus S hitlock bug? Edited by kokowu, 12 May 2017 - 02:59 PM. When are we going to get the feature that allows you to transfer items between storage, cart, inventory and trade just by using right click? Is it very difficult to implement? 1. When is iRO getting ... the rest of the Clan updates? 2. Will the auction house ever make a return to RO or is that for sure a permanent removal? If permanent removal, why? 4. Since Dorams are a 1st Class that has been allowed to get to the max level, why not allow the other 1st Classes, 2nd Classes, and Rebirth Classes to get to the max level as well? Are there any plans to make them viable outside of WoE:TE or are they going to be removed out of obsolescence in a future update? 5. Players have expressed interest in playing on a kRO server. Would you be willing to open an English server on kRO for those players or allow players to play on a copy of kRO here on iRO? If not, why do you wish to deny those players a kRO experience, which pushes them to play on private servers? 6. We noticed kRO has an official market browser on their site. Are there any plans to make this available to iRO for their website? 7. With all these RO spin-offs, how come you guys never thought to make a RO MOBA (Multiplayer Online Battle Arena) game? 8. Would it be possible to replace the current version of Morocc with the old alpha version? The alpha version of Morocc is actually accurate to the Ragnarok manhwa while the current version is just too big and impractical. Edited by ZeroTigress, 14 May 2017 - 07:08 PM. Does the skill "Cart Cannon" in server iRO have a different formula than server kRO? Can it be changed to be in-line with (parity) kRO? When do we get KarduiEar  & Lapine Shield  combo? Is pRO or SEA server will back and get merged back some accounts from iRO???? If happens, how they can implement our current update that we gained here and get deployed to a new server? Edited by johnvinaswell, 04 May 2017 - 07:05 AM. Do you really think a new server will do this? Secondly, do you think it's a Renewal server that's opening? 1. Will expanded classes get a chance to be adopted? Seeing that Dorams are able to be adopted then why can't Rebel/Ninja/Taekwons be adopted too. 2. Because the current base level is 175 will there be plans to add new maps/monster/town that would allow leveling from 150-175 which is not an instance or nightmare version of a current/existing dungeon? Q1: There are 1 or 2 English private servers that have lasted several years and have playerbases that are marginally just as large as our international server. These servers retain such playerbases cause their payment model moves away from pay to win and make many cash shop items the prizes of several quests after farming for a few days or weeks. Are there any plans to renovate the structure of ROs gameplay and payment systems to pull players away from private servers and back to the legitimate servers? Q2: Are there any plans to send us a larger variety of leveling areas for 150+ characters? We currently have two viable options and they're very boring/monotonous as well as rather difficult to get parties for. Q3: Are there any plans to give Maestro/Wanderer equipment that buffs the effectiveness of their support skills? In parties they're only really used for 2nd job, pre-trans skills. The class would feel more productive if our myriad of buffs were more potent and desired. League of Ragnarok I love it. Jesus Pete's. Every class having a character equivalent, or maybe bios monsters, have a few monsters available for characters... I wanna see this so bad. Can we get double attack crit update? This should be a easy thing to add in. Edited by YangeWenli, 11 May 2017 - 10:01 AM. Which will be the next update in iRO? 16.2 (Terra Gloria) or Rock Ridge? Edited by KunKnee, 15 May 2017 - 09:03 AM. -even after transition to sorcerer player does not gain access to new skill procs via hindsight. -with the renewal changes in matk skills which were already underwhelming took a heavy, unnecesary hit making pre-sorcerer skills pretty much worthless. Possible solution: INT modifier for bolts. Or some sort of bolt-mastery skill for sorcerer. It's kinda annoying that Sorcerer feels more like a standalone class which has little to do with Sage. 2. Will 3.2 classes ever receive their Mora gears? 3. Is there any possibility of summons receiving AI system like homunculus? 4. Going through malangdo coin exchange is incredibly tedious because of many unnecessary text boxes. There are more NPCs like that by the way. In this particular case - would it be possible to add "exchange all" button or something? 5. Currently global skill delay simply prevents using any skill while it lasts. Would it be possible to add a buffer - using a skill duding global delay buffers it and makes the character cast it the moment global delay ends? It would be an immense QOL improvement for players with higher latency. Edited by asperatus, 18 May 2017 - 09:43 AM. Just want to clarify because I don't think the devs understood my question. Please let them know that I am talking about REPOSITIONING SKILLS like Snap, Backslide/Frontslide etc. that still allows the player to move to a different cell even when trapped/immobilized by skills like close confine, ankle snare, fiber lock etc. By logic(yeah I know this should not apply to RO) snared players should not be able to move, so if for example they tried to use Backslide while under the effects of Ankle Snare, the skill name should pop-up above their head but they should stay on the same cell, like using backslide when up against a wall. Edited by Usurper, 18 May 2017 - 09:00 AM. 5 - How much years will be needed to correct Night Sparrow Hat and Sea Captain Hat effects? 4 has gone already, 1 decade should be enough? Yeah, and I feel sorry for the people expecting/asking about a possible transfer from Thor to the new pRO. How about playing on both servers? 3. Is there a possibility to reinstate the effects of existing items in Thor or if not possible clean/wipe them up from the server? It is not just gears but consumables. I know someone who bought that Twilight costume unknowingly. Can we have the effect of RWC 2010 hat back seeing that it's a Thor exclusive gear and it wouldn't even reach Chaos so what the reason for nerfing it? It's not an OP hat by standard and it's not even an end-game gear.It is just a poo poo hat with +1 aspd. Can we get final confirmation as to whether or not a Mechanic who job changed after reaching 99/70 as a mastersmith retains the job bonus to upgrade weapon? Please, need confirmation on this. As Tofu said: Are there any plans to balance Sura's damage output in PvP/WoE? In particular, Gates of Hell and Tiger Cannon's splash damage ignore reductions, are unavoidable, and kill nearly everyone in a single instant hit.